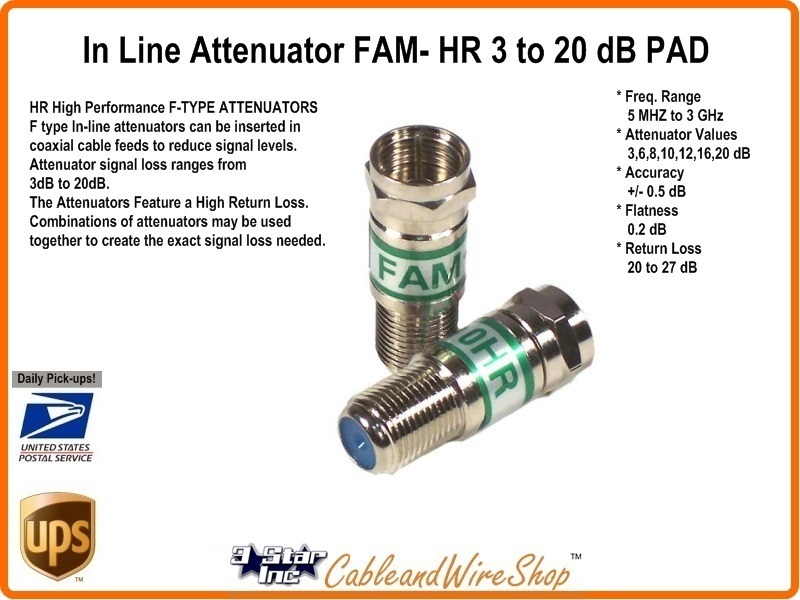 In-Line Attenuators that can Drop Signal Down to Acceptable Levels and Force Impedance match. Some are Power Passing. Most Attenuators Now-a-Days are made of Integrated Circuit Equivalents of Resistors and Capacitors that made up the RC Networks of Yesterdays Pads. Because of this Fact, You will Find that the Actual Loss may vary across the Bandwidth for different reasons and values as compared to Yester-Years Models. I have always found it best to add Attenuation in Increments until reaching the appropriate amount, and then substituting for the Total Value with ONE Pad of equal value. Multiple Attenuators in Series may have Un-predictable and Un-controllable Affects upon each other in Reactance, and are Prone to RF Leakage as Stress upon the Connectors may Compromise the Shield Integrity.